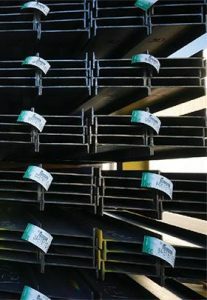 Designers and builders have long recognized steel for its strength, durability and functionality. An important aspect of steel’s story is its high recycled content and end-of-life recovery rate. Both attributes are recognized by the U.S. Green Building Council’s (USGBC) green building rating system, Leadership in Energy and Environmental Design (LEED), but steel construction products can contribute to many other LEED credits as well, either directly or indirectly. USGBC’s latest version, LEED v4, includes a completely revised and expanded Materials and Resources section, with new credits in the areas of life cycle assessment (LCA), Environmental Product Declarations (EPDs), and overall product transparency. For more information, download the Steel Marketing Development Institute’s fact sheet, “LEED v4 for Steel Products Used in Construction Applications”.